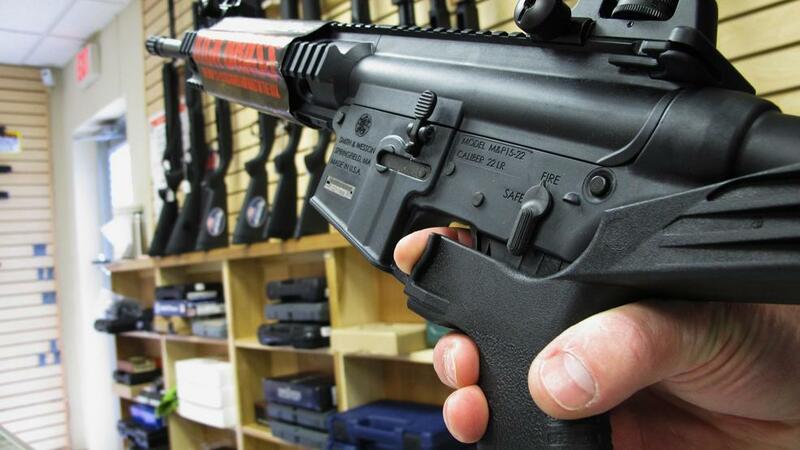 Arizona House Democrats on Tuesday failed to force a vote on their proposal to ban "bump stock" devices that allow extremely rapid firing of guns. An employee at a North Carolina gun shop demonstrates so-called bump stocks that allow semiautomatic guns to fire fully automatically. The maneuver by minority Democrats came after their proposal failed to even get a hearing in the Republican-controlled House. The measure by Rep. Randall Friese of Tucson has languished since early January without action. All 35 Republicans opposed putting the measure up for a vote, with some arguing instead that violent video games should be banned. Friese pleaded with members to act to stem what he called "an epidemic of gun violence" that is touching the lives of children. "We must act. The country is waiting for us to act. The time is now," Friese said. "We have an obligation to take action, we have a mandate, we have the authority to take action. "And if we don't recognize our authority to take action we are failing - we are failing our country, we are failing our children, we are failing our students," Friese said. Last week's massacre of 17 people at a Florida high school provided added impetus for Tuesday's action, even though a bump stock wasn't used. Bump stocks were used by the man who killed 58 people at a Las Vegas concert in October. Democrats regularly introduce bills that tighten Arizona's loose guns laws, and they routinely go nowhere. Meanwhile, majority Republicans each year advance proposals designed to make the state even more gun-friendly. Arizona doesn't require a permit to carry a concealed weapon and bars cities from enacting tighter restrictions. Republican Rep. Mark Finchem of Oro Valley said guns weren't the problem, instead blaming violent video games that he said "teach our children to kill." "We have so cheapened life in this nation with video games of make-believe that tell our children it is OK to behave that way," Finchem said. "Well, quite frankly, it is not OK. It's not OK for a kid to pick up a self-defense weapon and use it against other people and then claim that he didn't appreciate what his actions were. That is the root of the problem." 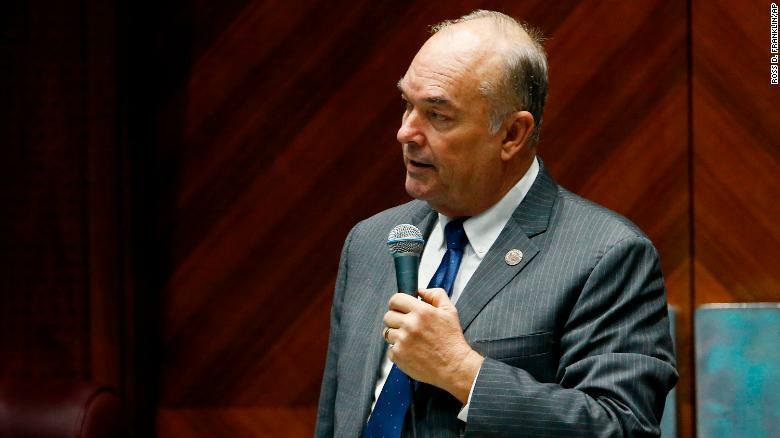 Republican Rep. Kelly Townsend of Gilbert blamed the changing culture, "a culture of death where it's OK if you have an unwanted pregnancy to go ahead and kill that child" and psychotropic medications to treat the mentally ill with the increasing gun violence. The Republican pushback brought an incredulous response from the top House Democrat. "Mental illness has existed, will continue to exist, it exists across the world, but only in the United States do we have this problem," she said. "Because of a prolific abundance of guns and access to anybody who wants them, mentally ill or not." President Donald Trump on Tuesday signed a memo directing the Justice Department to propose regulations to "ban all devices" like bump stocks. A bill being considered in the state legislature to outlaw child marriage has advanced.  KNAU’s Ryan Heinsius reports, it passed the House Judiciary and Public Safety Committee Tuesday after lawmakers added some exceptions. 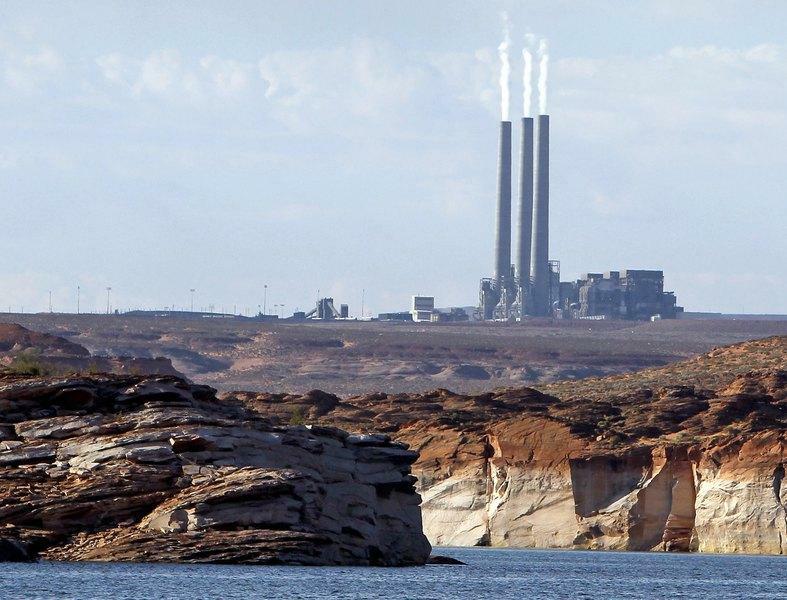 The Arizona Legislature is being asked to exempt coal used in a power plant on the Navajo Nation from the state’s sales tax as a way to help make the plant more attractive for potential buyers. 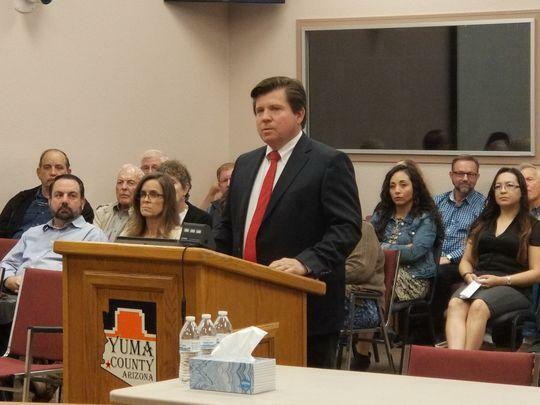 The Yuma County Board of Supervisors has named a local farmer to replace a Republican state lawmaker who was expelled following sexual harassment allegations. 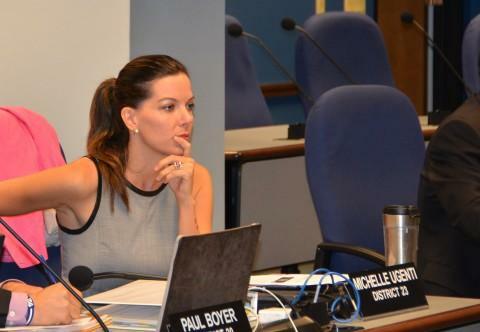 The Yuma County Board of Supervisors is set to name a replacement for a Republican state lawmaker who was expelled following sexual harassment allegations. 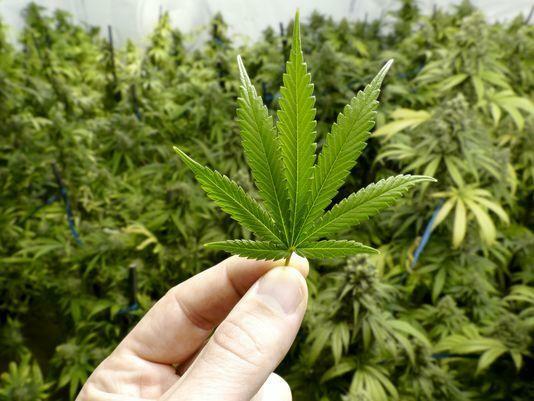 Voters would have another chance to weigh in on legalizing marijuana in Arizona under a proposal in the state House.